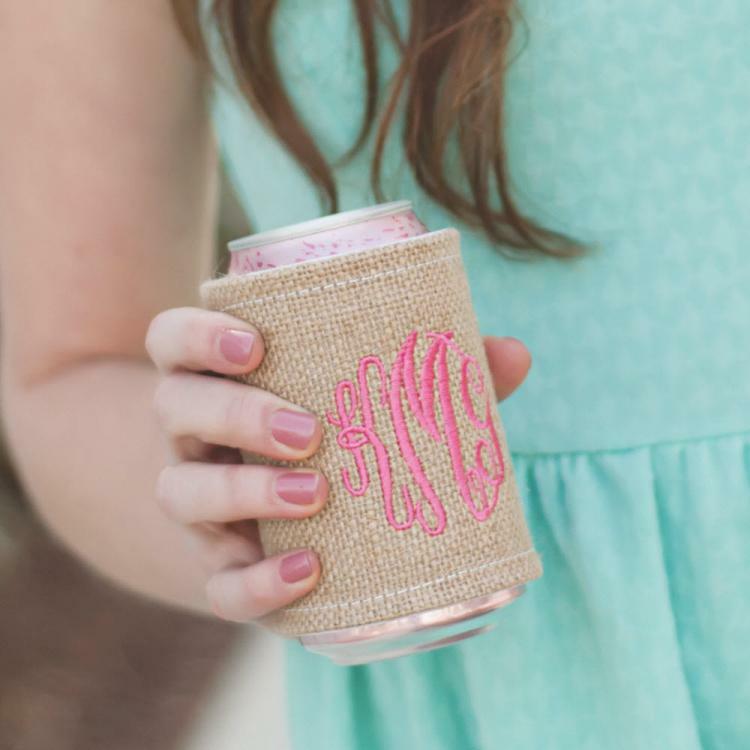 Casual burlap is chic, matches everything, and is perfect for everywhere from the beach to the football stadium. 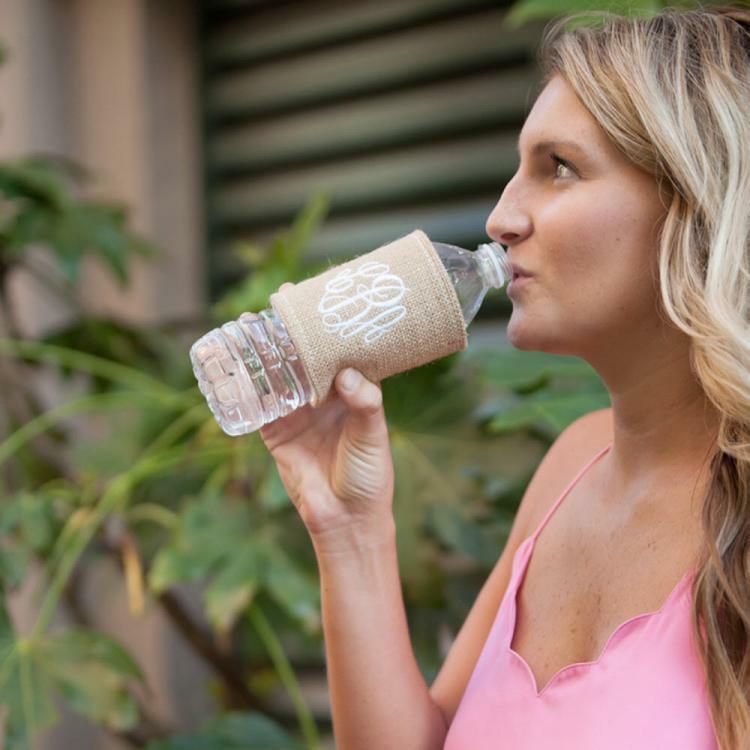 Great to keep your drink cool in style. 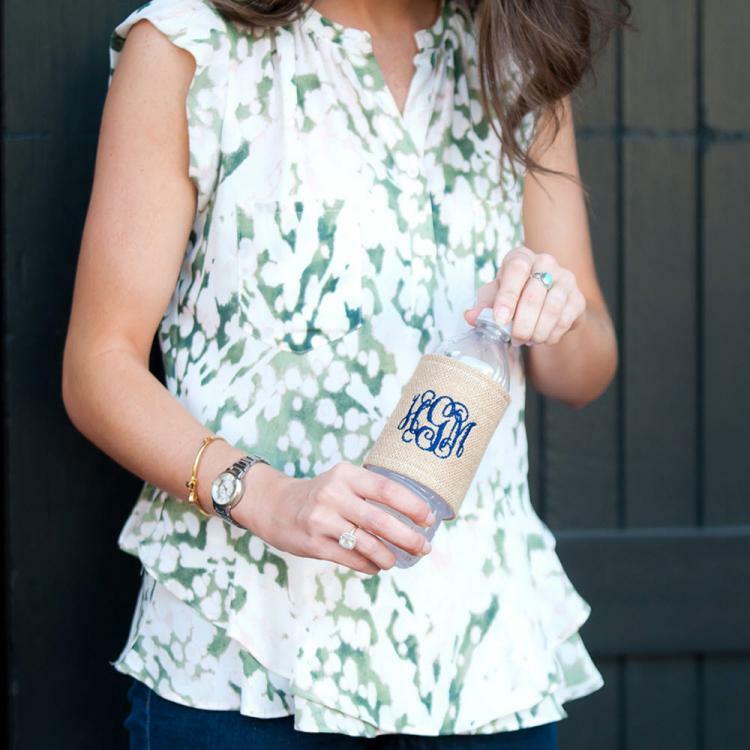 Keep one handy in the car, desk, kitchen, or tote bag and you'll always have a cool drink. 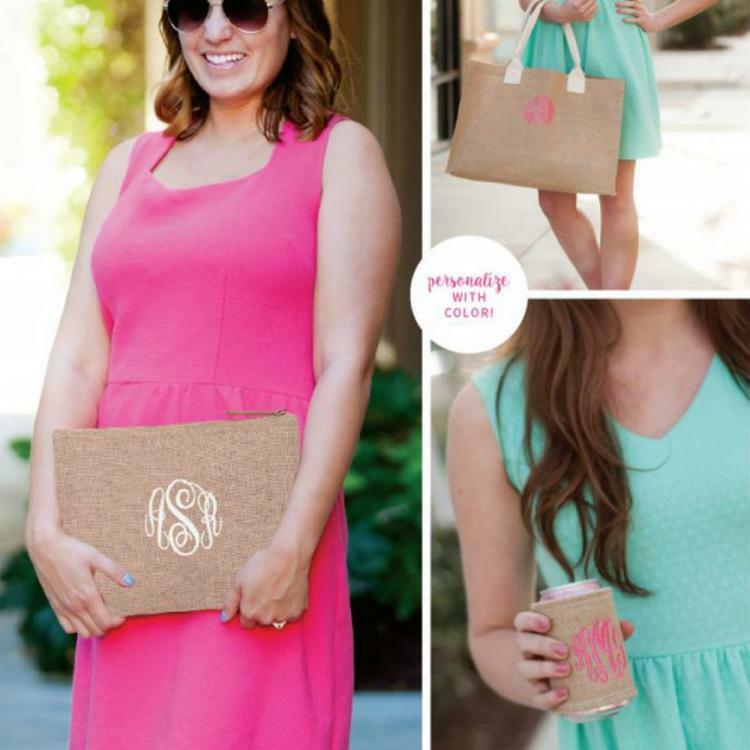 With several monogram styles to choose from one is sure to be you. 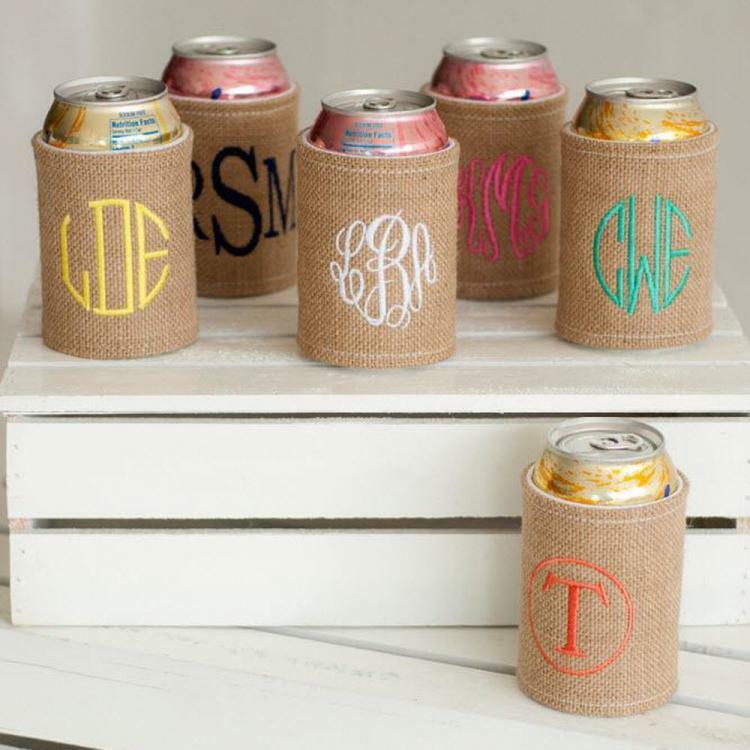 Fun gift idea by itself, with a cooler, basket or one of our other compatible items! Price: $21.00 In stock! - Browse this brandOur products are custom made to your specifications. This product ships up to 1 weeks after your order is placed.